Indiana are known for their cold, snowy winters. The combination of heavy snow and subfreezing temperatures create ideal conditions for ice dams to form. The experts at Stash Property Restoration of Chicagoland and Northwest Indiana can repair damage caused by ice dams, including roof and gutter damage and water damage inside of your home. 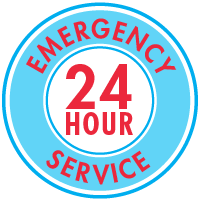 Contact us today to schedule an estimate for water damage restoration in Lake Station, Portage, Chesterton and the surrounding areas of Indiana. If ice dams have already formed and water begins coming into the house, Stash Property Restoration can provide emergency flood repairs to minimize water damage. We can also remove moisture-damaged materials, such as carpeting and wallboard. Get a free estimate to repair any water damage caused by ice dams. We are Chicagoland and Northwest Indiana's water damage restoration experts in Indiana, serving Gary, South Bend, Valparaiso, Cicero, Orland Park, Lemont, Berwyn, Portage, Lake Station, Chesterton and areas nearby.